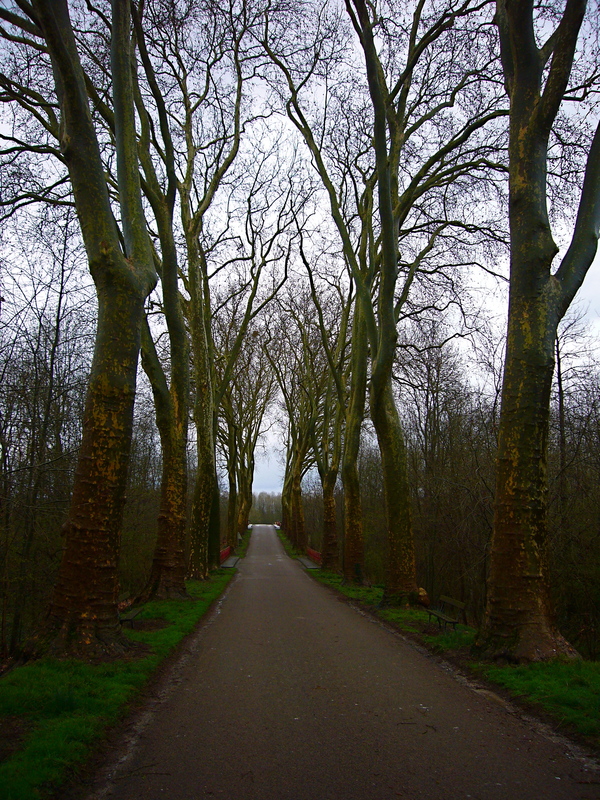 This entry was posted in TRANSITIONS and tagged allés, Burgundy, good-bye, tree-lined road. Bookmark the permalink. It must be difficult to leave. I’m sure it’s the same when you leave Bagni di Lucca, no? There’s just so much physical beauty in these places…they really pull us to them. We’re ready to come home, when we come home, but then after a while we long to be back. It’s a strange phenomenon. the road to Bazarnes ????? Yes! I have loads of photographs of it. I love that little piece of road. And all the others like it. It’s all so beautiful. Blessedly out of reach of fast traffic and eighteen-wheelers. A very Brigadoon. That avenue just draws me along. Beautiful contrast between the stoutness of the road, the lushness of the grass and the delicate tracery of the trees.